Giada Spicola graduated in law at LUMSA University in 2005 with a thesis on Mediterranean Countries entitled "Use of Language in the international contracts". She is enrolled with the Bar Council of Palermo since 2008. Since 2012 she has collaborated to the activity of teaching and scientific research with the chairs of International Law, Comparative Legal Systems, European Union Law, English Language of LUMSA University. Between 2015 and 2016 she attended and successfully completed the IX Postgraduate course in juvenile law and developmental issues, organised by the Criminal Chamber "G. Bellavista "of Palermo. Since 2015 she is a member of the National Observatory on Family Law. 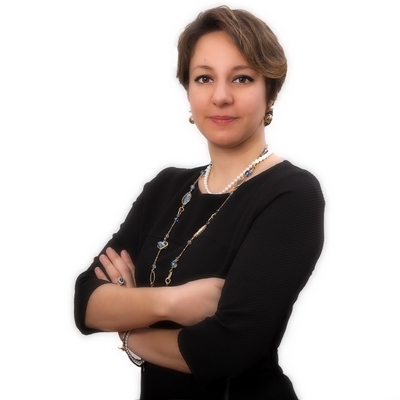 She focuses her practice on civil law and in particular on family law, inheritance law, business law, voluntary process, and international law, with focusing on to the Mediterranean Countries, the European Union Law, international private law and Comparative Law for disputes resolution and matters. From 2005 until 2011 she undertook voluntary work with the club Leo Palermo Host, with several positions, from 2012 to 2013 she continued her activity within the New Century Lions Club Palermo where she served as Lion tamer. She has collaborated with the non-profit Association of street Lawyers. In 2016 she received assignments as support administrator by the Court of Palermo. Giada Spicola speaks Italian and English.